I just completed Part III of The Seed of God. As of now, you can buy the eBook here: https://www.smashwords.com/books/view/735338 though it will be available on most major online book retailer websites soon! Thanks to everyone who is reading my story. According to stats, there have been quite a few purchases of Part I and II. If you are a fan, I highly recommend Part III. I think it is my best segment so far. Just 99 cents guys! Robert realizes that without his catabolism of his plant’s magical abilities, he is unable to enjoy the things that he once appreciated; passionate interests he had held before his current state of existence, during a time in his younger years when he was in a much better place mentally. Thus, he continues to utilize the giant green entity’s powers to grant him joy and satisfaction in his prevailing life that was previously miserable and unfulfilling. During this time, Robert is fully aware that he is enduring the same reality–filled with the same day-to-day circumstances that had caused him to form such a poor mental state-that he had possessed before the miraculous emergence of the enchanted plant and the gifts it bestowed upon him. Though he is sure that making adjustments to his being would be of great benefit to his mental health, Robert finds himself unwilling to change for a number rational reasons. Thus, he deems the plant and it’s magical abilities to be a great ally; one that can cure his unhappy and empty soul without any effort on his part. Learning that the powers granted to him are able to benefit not only his morale, but also other aspects of his life, Robert begins using them to improve himself in a variety of ways that result in a number of favorable outcomes. All seems well for Robert as he becomes more and more of the person he always wanted to be; even while inhabiting a truly loathsome life that the plant continually numbs him from. However, everything will change for Robert after one impulsive decision; a decision that will alter his view of the world forever, consequently giving him reason to transform his life rather than hide from it. Upon waking up the morning after Robert skeptically planted the seeds that the mysterious stranger gave to him with the promise that they would fill the void in his life, he discovers an extraordinary act of nature in his backyard; a giant beanstalk-like plant reaching to the clouds. Witnessing it for the first time, Robert feels it’s presence can only be explained by one of two things: some kind of magical force, or more plausibly, a brain tumor. However, when others behold the sight of such an inexplainable phenomenon, the latter explanation goes out the window. Robert quickly learns through studying the gigantic growth on his lawn that it has remarkable abilities that can in fact, as the stranger assured him, remedy the feelings of emptiness he had long felt from within. But with his billboard-worthy suburban neighborhood and the mighty homeowner’s association at his throat about getting rid of what could be consecrated as a natural wonder of the world, Robert must make a decision. He can either follow the regulations set forth by his community and continue his seemingly meaningless existence, or he can fight the powers that be, save the miracle that wondrously appeared in his life, and start down a new and fulfilling path of being. Yep, you read it right, while I am waiting to hear back from literary agents about publishing my literary fiction novel Big Red Yonder, I’ve been writing a four-part mini-series called The Seed Of God. Part I of the series is now accessible for download! Living the archetypal American Dream, it appeared Robert had it all; a steady job that paid well, a gorgeous wife who seemed to only get more attractive with age, two bright and well-behaved children who always seemed to do as they were told before they were even told what to do, and a comfortably large suburban home in the middle of a warm and friendly neighborhood on the outskirts of a bright and booming city. But even with the six-figure salary, the picture-perfect family, the billboard-worthy community in which he resided, and all of the other blessings bestowed upon him, he could not help but suspect that something was missing in his life. As a result, he felt a growing void within his soul, one that he could not attribute a cause for. That is, until one fateful afternoon, when by happenstance Robert crosses paths with a mysterious man who grants him an incredible gift, one with the potential to remedy his feelings of emptiness forever. However, anything that seems too good to be true usually is, and anything that is true usually comes with a price. And as Robert reaps the benefits of the peculiar stranger’s offering, he soon discovers the unsavory consequences that come with its satisfying benedictions. I didn’t go into too much description here because I figured its vagueness might leave potential readers intrigued enough to buy the short story and find out for themselves the cryptic details within the summary. Maybe my tactic will work. Maybe not. Either way, I’m taking pleasure in writing my first magical-realism-based story. It’s a fun genre to play around with and I can’t wait to continue producing the rest of the mini-series. I’ve been thinking a lot recently about the whole traditional publishing route for completed manuscripts. I’ve also been doing tons of research on the subject to help me understand this whole business better. And all this thinking and all this research has led me to the insight that for a truly creative artist, story-teller, and wordsmith, writing is the easy part of this whole career journey. It is easy to write a book. It is so much more difficult to figure out the whole vocational aspect of this profession. A novelist has to be a salesperson to an extent, and for many creative minds, this isn’t easy. 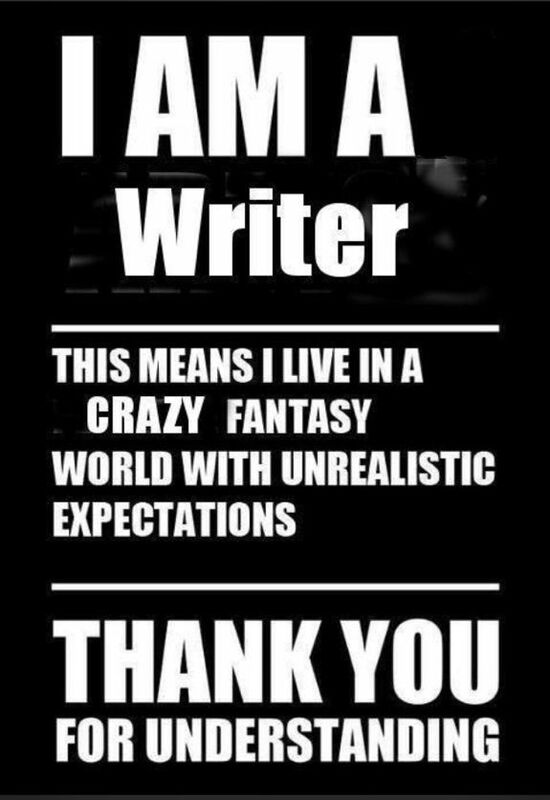 Especially for the “reclusive writer” sect of men and women, as I find myself often being. I am introverted and always in my head. I can come up with the plot of a story in mere seconds, and I can begin writing it as soon as I get the time. But when it comes to getting a work published, the struggle is real. I have to break out of my shell on a daily basis, try to make connections, put myself out there, and sell myself, my ideas, and my product. Once long ago, I was a salesman for a time, selling scam products to mostly elderly people inside Costcos and Sam’s Clubs. This was completely legal but completely unethical. I hated it, I hated it, I hated it, and every time I sold something, I felt awful about myself. But it was a job, and I needed money. As you can guess, I didn’t keep that job for very long. To be a good salesperson, I think you have to be either completely heartless or you have to truly believe in the product you are selling. Confidence is key. And many authors lack that confidence, not in their writing perhaps, but socially. This whole “getting-published” trek is one of the most difficult jobs I have ever experienced, and like I said, I was once a salesman for scam products. I was also at one time an over-the-road truck driver, which in my opinion, is one of the most strenuous jobs on the face of the earth. God bless the truck drivers! No, really. They are amazing human beings. Alone 24/7 in the cab of a truck you call home, with no one to talk to but the wankers on the CV radio–the trolls of the pavement, and maybe just maybe some family when your available hours to talk coincide with the hours they are awake. And then there is the schedule. No free time in truck driving. Very little at most. Your work is literally your life all day, everyday. It is a lifestyle, a very challenging way of life. To say getting published is more trying than trucking says a lot about this industry I have chosen to pursue. In conclusion, if you are interested in writing a book, of whatever kind, just remember that the actual writing part is the tip of the iceburg in the world of words. So if you are pushing the creativity off, don’t any longer, just write. Write anything, and write it from the heart. Just do it, no matter what it is, let it out. No more procrastinating. There’s no time for that. The hardest part of being a writer has yet to come. Good luck folks and God speed. So I wrote a book. Big Red Yonder. It took five years and ended up being over 500 pages and 363,228 words by the end of my third draft. The following post is a brief summary as to why I wrote my novel and why I have spent so much time on a piece of literature that I am not even sure will amount to much. For years, I had been living in a state of mind and body that has caused me exposure to what I considered after much reflection to be an existential crisis. Enduring a seemingly endless stream of detrimental surroundings and unfortunate circumstances, I made the realization that the only truly reliable escape from the external suffering I was facing was the solitude of my psyche. It was here, in the deepest realms of my mentality that my tormenting conditions transformed into a profoundly inventive state that I can only describe as being channeled by something otherworldly, or more realistically, utter desperation. Whatever the reason, through the surge of my new-fangled inspiration and creativity, I dramatically poured all of my heart and soul into this literary fiction work. Much of the story developed during my initial draft of the book came from a kind of stream-of-conscience method of writing. I don’t know what I was thinking during much of the time I wrote this draft and much of what was written must have come from somewhere deep within my brain, either my subconscious or due to some kind of mania causing me to come up with ideas that I never in my wildest dreams thought would be written by me, let alone anyone else. The numerous themes, stories, and situations within the plot of Big Red Yonder made sense in the first draft, surprisingly, but they did not fully connect to each other in an understandable way at times. So in my second draft, I put all of the plot points together into a format easier to comprehend for readers and made all of the various facets of the book connect, make sense, and have a purpose in the story. However, during this draft I did not change the literary style whatsoever. I made the decision early on that my unique style works well and separates me from other writers. I don’t know if this choice will help me or not when getting published, for many publishers may not want to deal with a novel written in such a poetic and often crazy, for lack of a better work, style. Who knows, we will see. In my third draft, I went through my manuscript and edited the story a bit, deleting some parts I didn’t think were important to the story and adding others that I felt would better support my story and join everything together, making the novel a smoother read for others. I also changed some of my wording to make the book more understandable. However, what I did not change much was my use of punctuation or the general flow of my novel. This is because I feel in many ways that my use of punctuation and my chosen flow for the book gives its a doorway to my individual voice as an author in many respects. I’d like to think Big Red Yonder is written in an Ernest Hemingway kind of way (there are many other authors who do this, but he is probably someone everyone has heard of), where the silly rules for writing, the ones I learned in grade school, do not apply. Again, I can only hope there is a publisher out there that sees the potential my novel has as a literary work, even with my atypical choice of prose and composition. So yeah, that was basically my reasoning for writing this eccentric book and how I did it. I hope for the best, but I never will expect the worst. Big Red Yonder will be published one way or another, one day.